One of my weekly menu planning strategies is to make a soup each week. This is used mostly for my lunches and dinners since I am the only one who enjoys soups other than noodle soup. Brussels sprouts are one of my favorite veggies. They are available year round and are good in salads, or as a side. I also love them in this hearty soup. 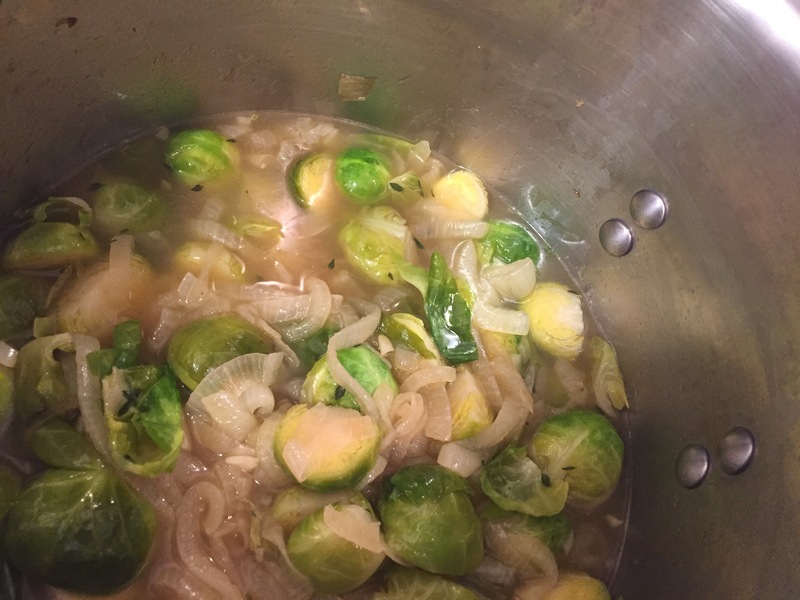 This soup is like french onion with brussels sprouts added. I don’t always caramelize the onions, especially when I’m planing on serving it pureed. Brown soup is not always appetizing. Also adding beef stock to this soup can take it to a whole new level. In a sauce pan combine onions and butter over low heat. Cover the pan and sweat the onions for about 30 minutes. 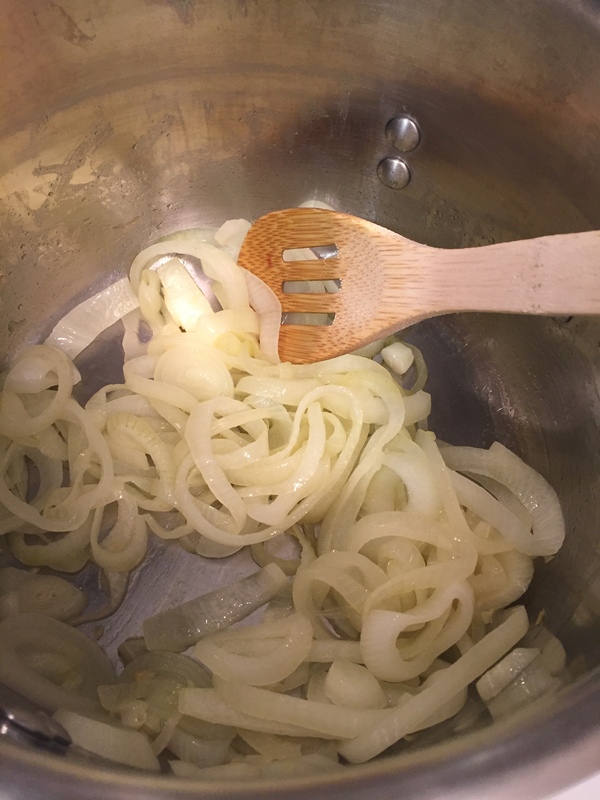 Once the onions are soft add the sugar and cook until light brown. Add the sprouts and thyme (a few sprigs at least) and stir. 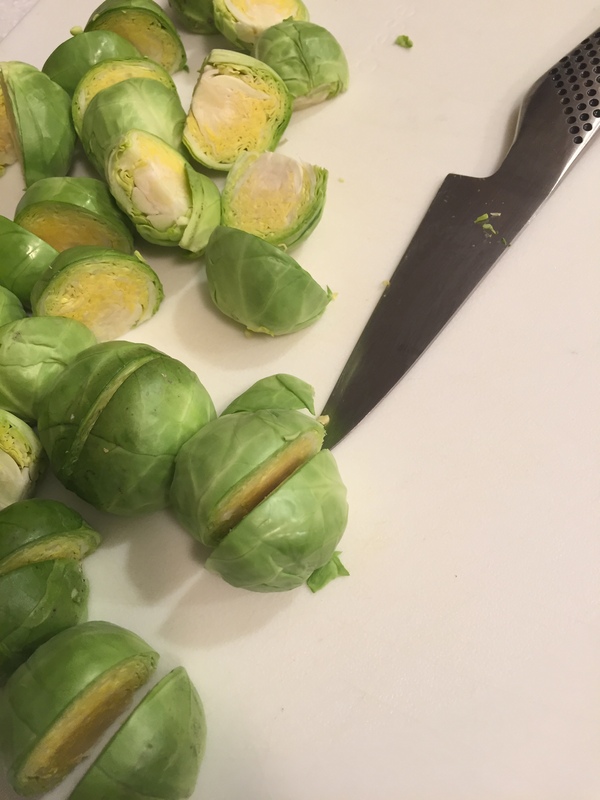 Bring everything to a boil and simmer until the brussels sprouts are cooked. This soup can be served pureed or chunky.